The Original – still holding Strong! 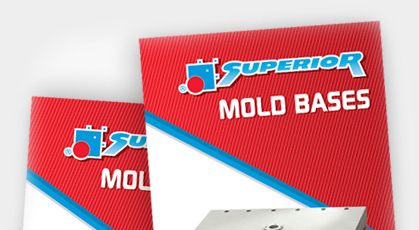 Superior Die Set Corporation’s Slide-Locks™ are the original, specially designed to effectively prevent operational slipping of the slide in your mold base. They are extremely compact and hold their rated weights without hydraulics or other complicated devices. They can also be used in multiples to achieve greater weight retention. 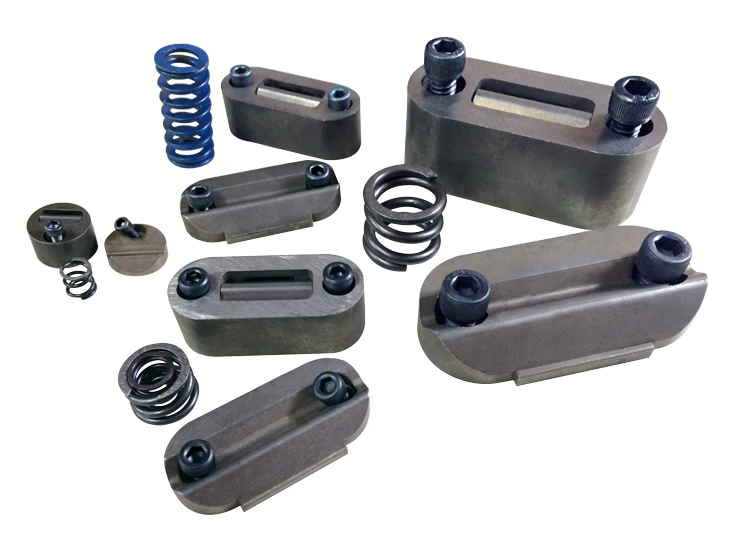 The simplicity of the Slide-Lock design allows dependable, repetitive mold base slide motion, minimizing production halts. High-strength tool alloy construction provides durable production life – components resist wear over many slide cycles. Recessed into the slide for neat installation, they can also be retrofitted into existing slides. Simple pocket machining is all you need to install Slide-Locks. Note A: For proper “Release Distance” see the Operating Data for each specific Slide-Lock model. 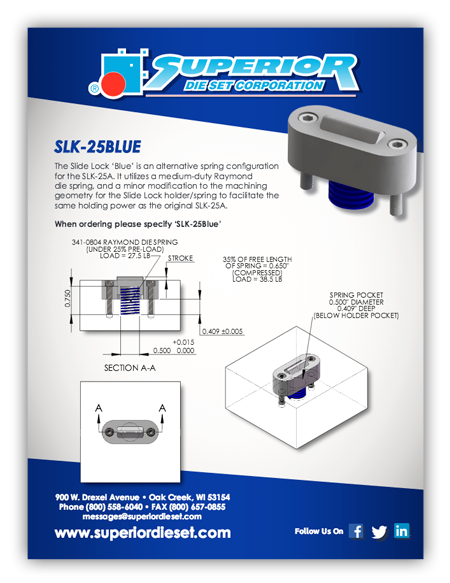 View more information about our variety of high-performing slide locks.